Substantial changes are taking place in the European financial market. This is partly due to developments in the markets (including the financial crisis of recent years), and partly due to the changes in the regulatory agenda of the EU which involves review of several core directives and which also has resulted in two green papers on corporate governance and the report from the Reflection Group. The aim of this book is twofold. First, to describe and analyse some of the most important changes that have emerged in Europe in recent years, and second, analyse whether more regulatory changes are being called for. pre-IPO trading of shares on private secondary markets. 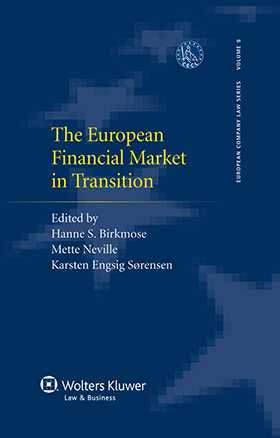 This very thorough overview will be welcomed by both practitioners and academics interested in the working and development of the European financial market.